A panorama image is stitched from multiple photos that were taken from different angles, forming a very wide field of view, even 360°×180°, covering every possible angle from the viewer. 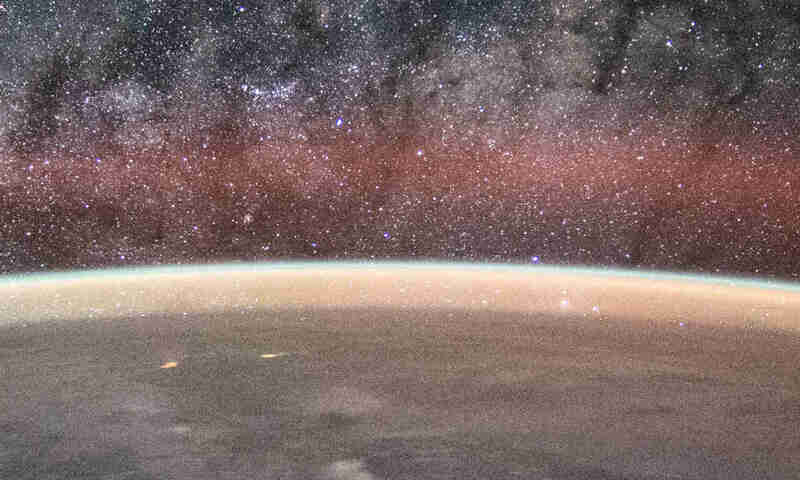 Someone has taken a panorama from a high-altitude balloon and made available the results in various projections. 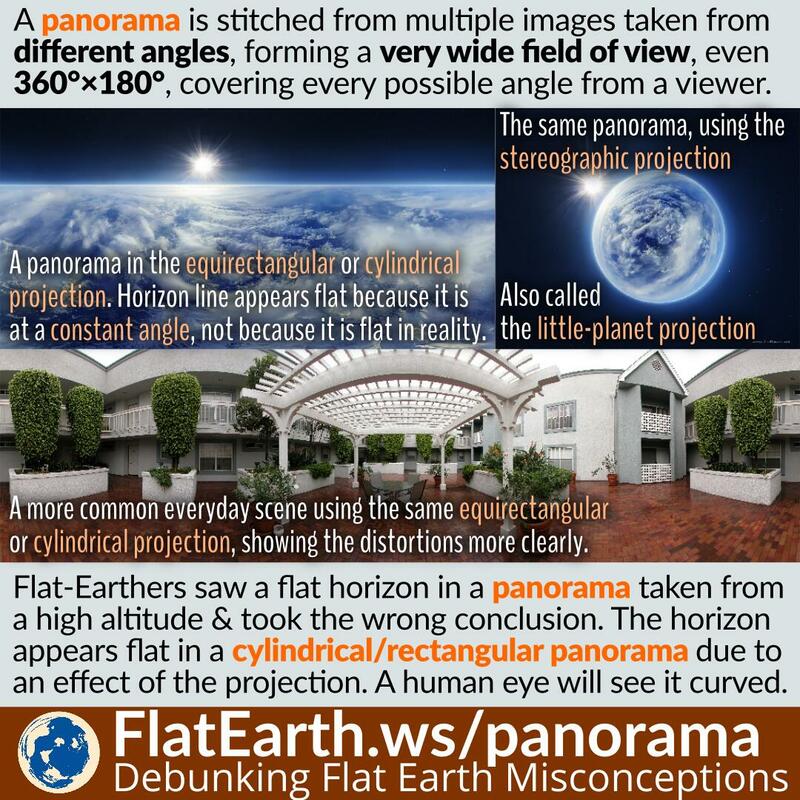 Flat-Earthers saw a flat horizon in one of the panorama images and took the wrong conclusion. The horizon will appear flat in a cylindrical or equirectangular projection due to an effect of the projection. The panorama creator also has the panorama in other formats, including an interactive one in the general perspective projection, which shows how it would look from a human eye, and it shows the curvature.